Every patient receives an IV catheter for maintaining the hydration of your pet under anesthesia with IV fluids and for the administration of anesthetics to be simple and painless. The patient is anesthetized with a protocol specific to their individual needs. We take everything into consideration when choosing a protocol that is right for your pet including: their age, health status, breed, and any other specific factors for your pet. We also use the safest inhalant gas anesthetic (sevoflurane) available in veterinary medicine. Each patient is intubated for their dental health examination. This allows us to control their anesthetic depth to ensure it is at the safest level and to protect their airway during the procedure. Patients are monitored by a Certified Veterinary Technician throughout their procedure. They use both their advanced training, as well as the latest monitoring equipment to ensure your pet is safe the entire time. A second Certified Veterinary Technician or trained Animal Assistant is dedicated to helping the veterinarian with the procedure. Adult dogs have 42 teeth and adult cats have 30 teeth. Each tooth is individually assessed! We record missing teeth, note any large fractures, and if any teeth feel loose teeth. We also look at something called “probing depth”, which evaluates for presence and severity of infection below the gum-line. 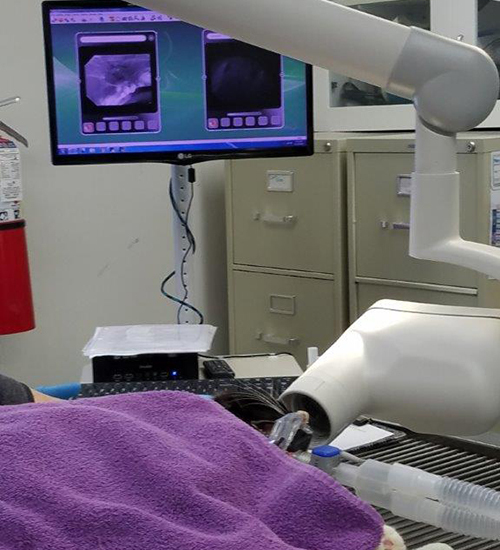 Dental x-rays are obtained of each tooth to evaluate for conditions below the surface including: tooth root abscesses, resorptive lesions (cats), sub-gingival fractures, and bone loss surrounding the tooth. Based on radiographs, superficial assessment, and probing depth, if a tooth is unlikely to heal from the severity of its disease then it is extracted. We utilize the best equipment and technology to remove affected teeth as atraumatically as possible. Each individual tooth is then scaled and polished. Scaling involves removing the adhered plaque/tartar from both the exposed surface of the tooth and the sub-gingival (below the gum-line) surface of the tooth. Specialized pet toothpaste polishes and cleans the surface of the teeth to make them smooth, shiny, and remove any remaining debris. Teeth are sealed with a tooth sealant. This will help decrease the build-up of plaque in your pet’s mouth for a short period of time. 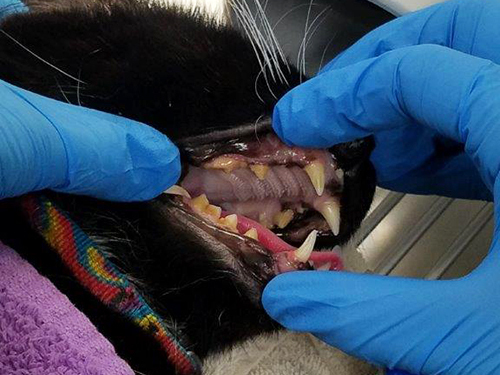 The pet may be sent home with antibiotics if there is evidence of severe dental infection. In some cases, antibiotics may be administered during the dental examination directly at the source of infection below the gum-line. 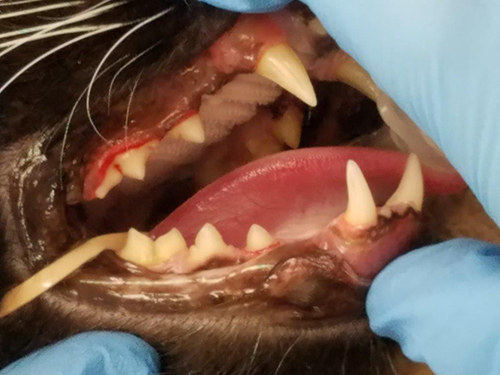 If the pet had extractions or if their gums were very inflamed, and possibly painful after scaling/polishing, then they will receive an injectable pain medication. They may also be sent home with a few days of pain medication. Remember: The best way to prevent and manage dental disease is with a combination of home care protocols and annual veterinary dental health assessments.